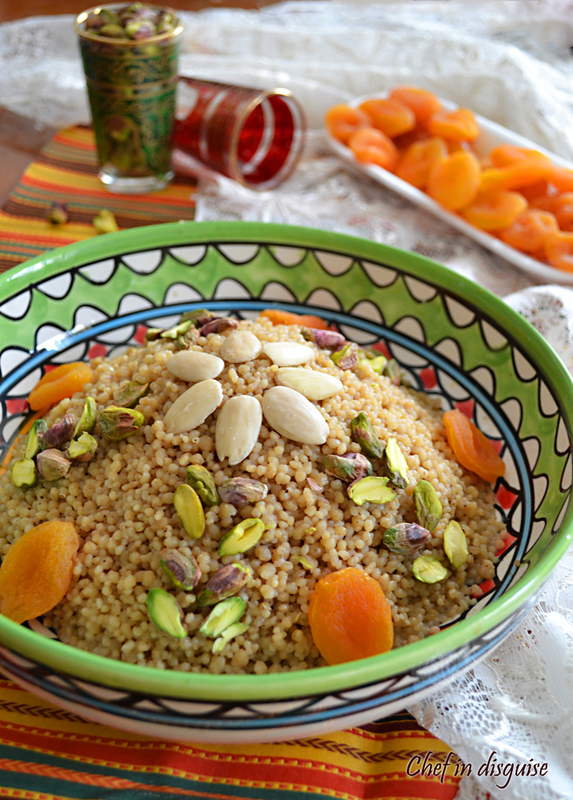 You may have come across the terms couscous, Moghrabiah or Maftoul. They may seem like tongue twisters at first but they are actually three variants of hand-rolled pasta that are versatile and tasty. 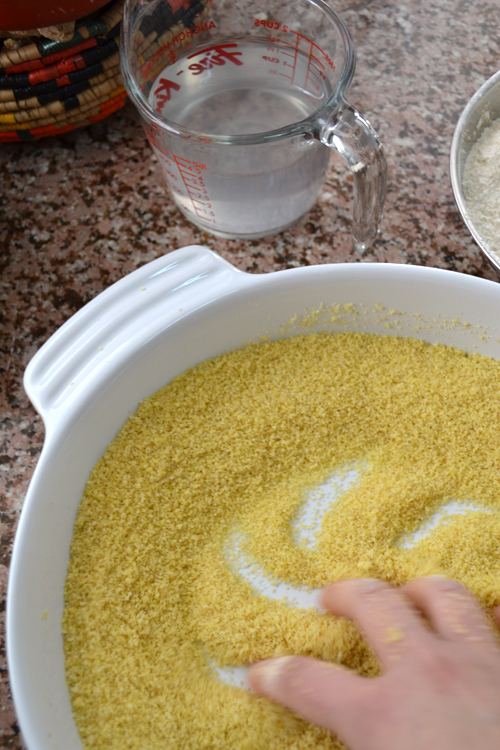 What sets maftoul apart from couscous or moghrabieh is the size of the pasta granules. 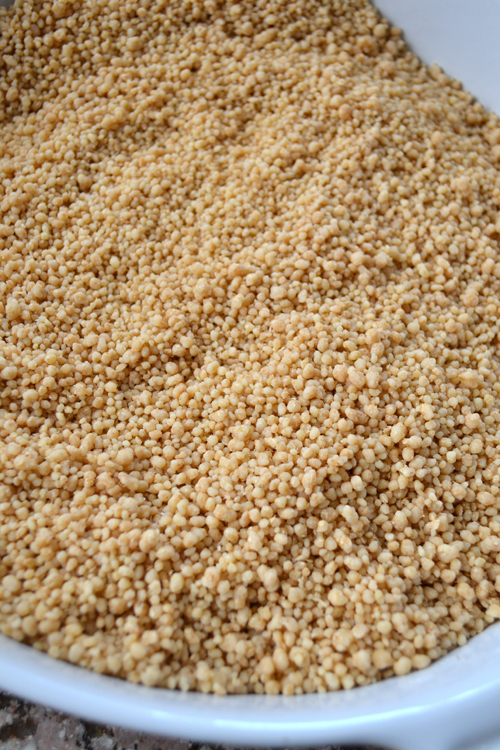 Couscous has the smallest granules (about 1 mm in diameter) while moghrabiah has the largest (about the size of chickpeas). Maftoul is middle ground between the two. 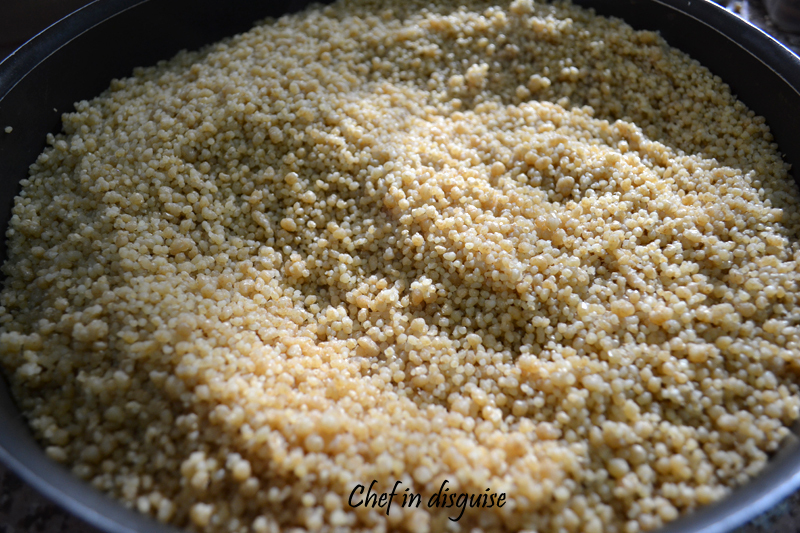 Maftoul’s hand rolled tiny pasta pearls are 2-3 mm in diameter and they are made out of a mixture of whole wheat and all purpose flour rolled around a center of bulgur which gives it a nutty earthy note that is unique and a slightly deeper color.Couscous on the other hand is made out of pure white flour and it is rolled around a center of semolina giving it a lighter color and a more neutral taste. 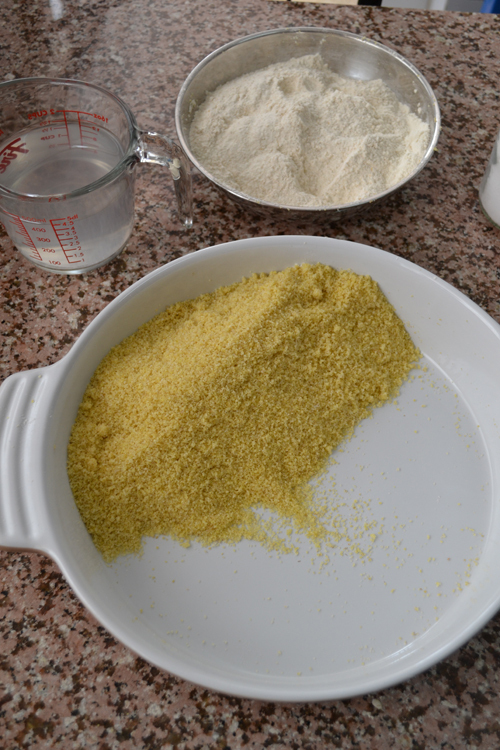 For this challenge we will be making maftoul (also known as Palestinian couscous) from scratch. The flour Maftoul is made using a mixture of whole wheat flour and all purpose flour, that gives you the best taste and the best texture. You can use whole wheat only but that will give your maftoul a slightly deeper color and you will probably require more water and end up with pearls that are less even. 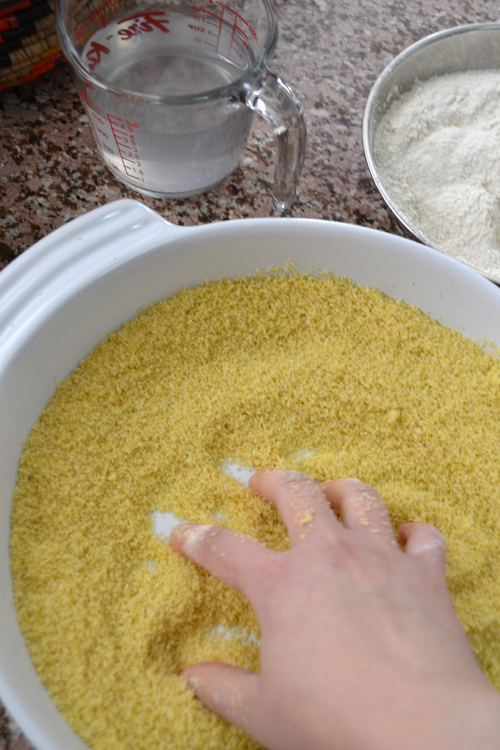 Repeat the steps of wetting the bulgur granules, rolling, sprinkle with flour , roll until the maftoul granules are the size you want them to be. This video shows you the technique of making maftoul. It is in Arabic but you can watch the steps to get a better grasp of the process. Add the vegetables starting with the ones that take the longest to cook. Lower the heat, cover the pot and cook for 20 minutes or until the vegetables are cooked through. Check on your pot every 10 minutes,if you find that the level of fluid is too low, add 1 more cup of water and continue cooking. 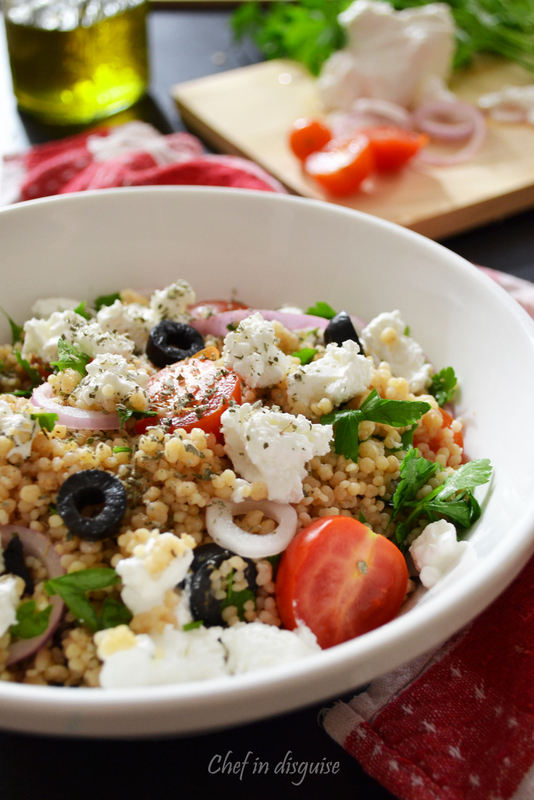 If you are looking for more inspiration and recipes to use maftool, stay tuned, tomorrow I will share my Mediterranean salad using this homemade maftoul and the day after I will share a wonderful dessert using maftool pearls. 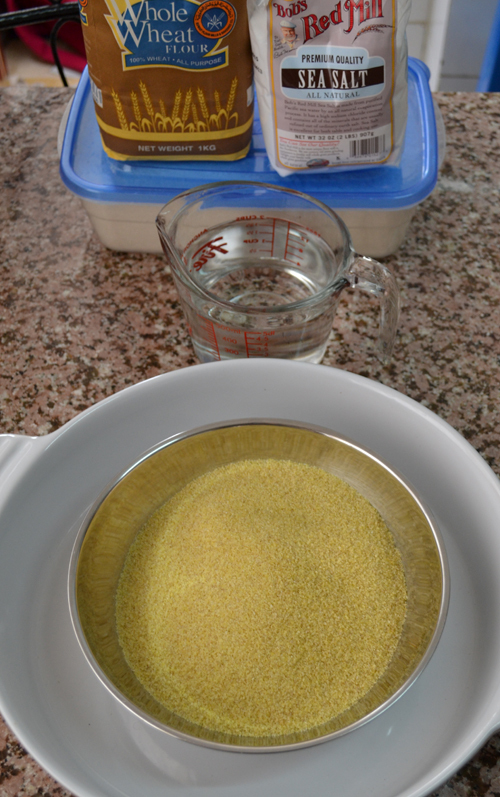 Posted in Appetizer, Arabic and middle eastern recipes, Daring cooks, How to, Salad, vegan, Vegetarian and tagged arabic recipes, couscous, creative recipes using couscous, daring cooks, granules, how to make maftoul from scratch, leftover couscous recipe, maftool, maftoul, palestinian recipes, recipes using couscous. Bookmark the permalink. 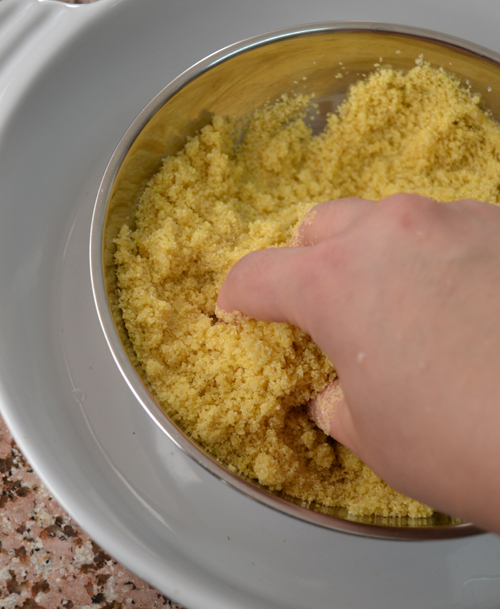 What a great tutorial, I had no idea that making Palestinian couscous was that easy. I know I would love it because I love bulgar. 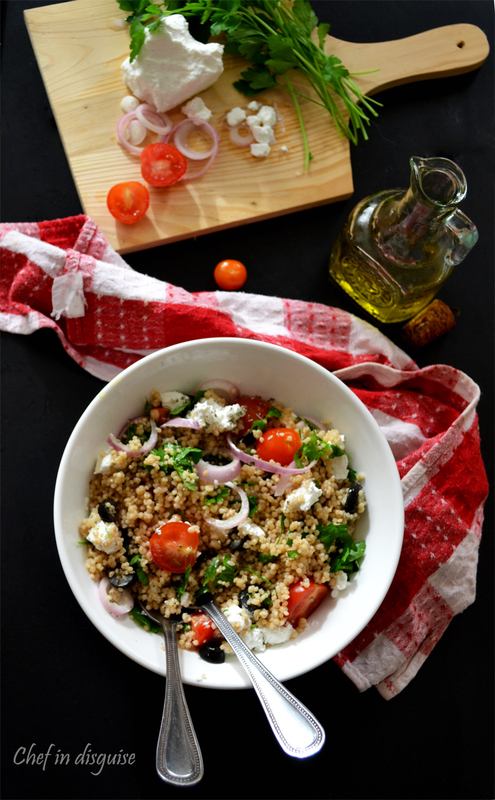 I may have to try this tonight as I’m making your delicious tabbouleh again, it doesn’t even look like it takes a lot of time. I never heard of that, but it looks very delicious. 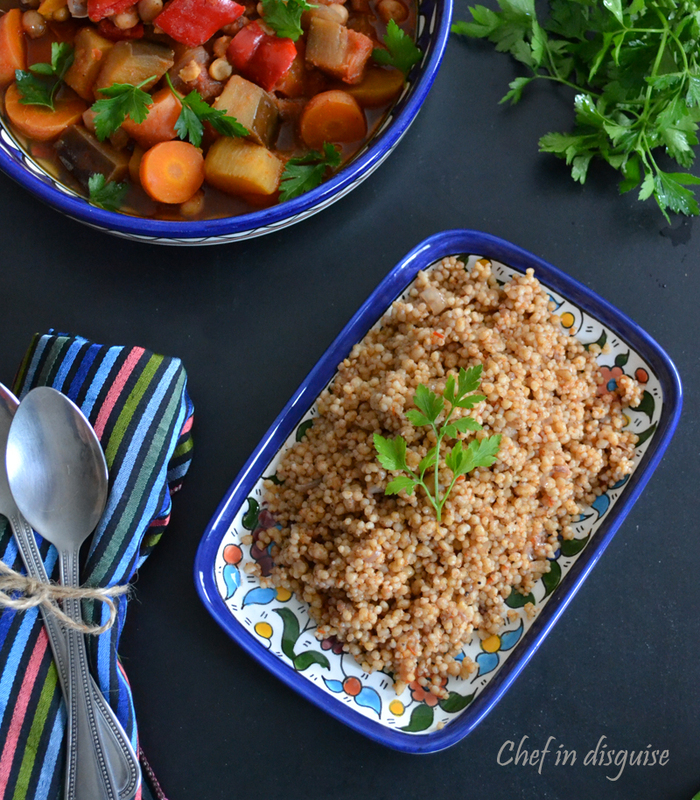 I like bulgur and couscous especially in salads, so I will defenitely try to make your recipe. I had no idea you could make any of these from scratch! It definitely looks daring. 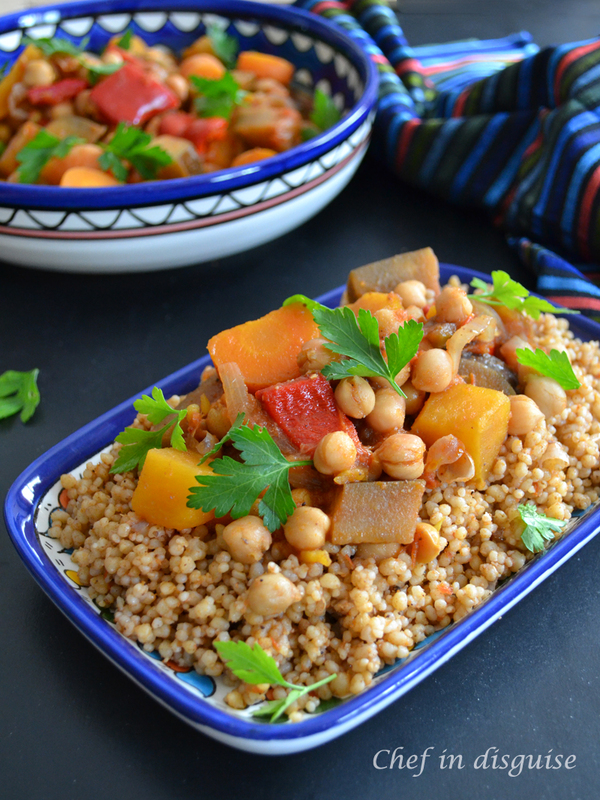 I love couscous, so no doubt would like this as well. Love the salad you made from it too. Always love your daring challenges. gorgeous dish, amazing recipe, you awed me again! Sally I am sure you would make magnificent Maftoul if you set your mind to it, looking at the wonderful recipes you make, I just know you can. I can finally make authentic Mograbiyeh now that you’ve posted this tutorial. I’m definitely brought back to being a little girl in my moms kitchen with this post! It was an honor to have you host this challenge, and I am beyond proud to have tried my hand at this. 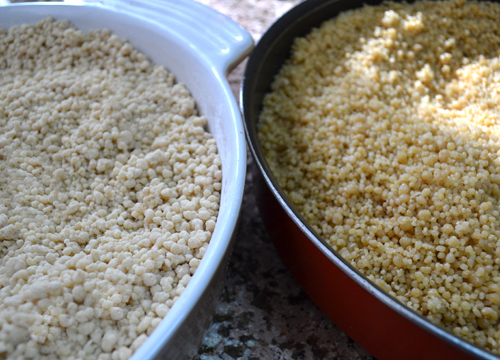 I never ever would have known that you could make any kind of couscous at home, and now I can’t wait to try it again. Thank you, thank you for this amazing challenge!! It looks like a lot of work but the finished dishes … delicious. I knew how cousous was made and it sounded like an awful lot of work so I decided to leave it up to the professionals. You make it sound if not easy, certainly doable. 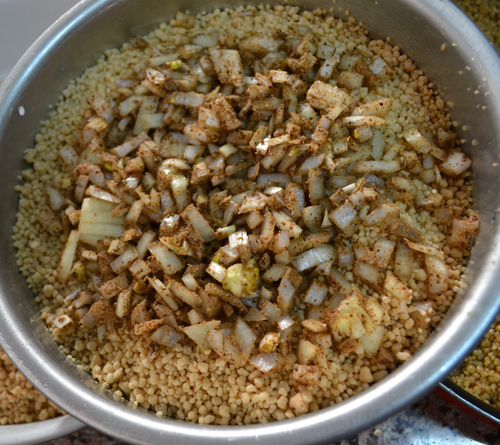 The maftoul with onions and spices has my heart. Sawsan, I can’t thank you enough for being such a wonderful hostess for this challenge. 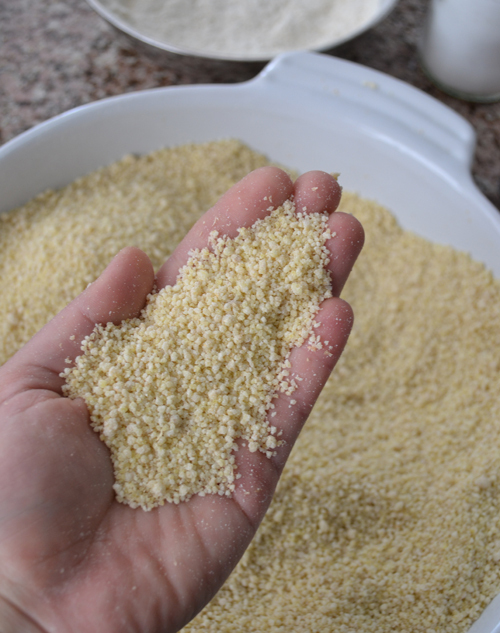 I loved to learn how to make Maftoul and used it only for the mediterranean salad, but intend to try as many recipes as I can to explore this delicious ingredient! Ah…. and thanks so much for sharing your family recipes! Absolutely wonderful – maybe one day when I have time to enjoy the process I’ll give this a go! Lovely Sawsan, we have learned a lot from you in this challenge. Thanks so much for hosting. I was super excited to try it and have no idea of if it turned out right. 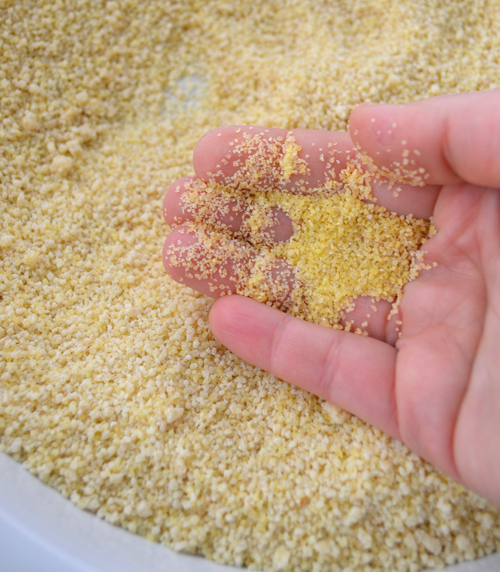 It did take me forever though as I was forever trying to separate grains which were stuck together. I’ll have to try it again to see if I can improve the texture. I think from working with it for so long I may have made it tough. Thoroughly enjoyed this challenge!!! This was a great challenge. Your instructions were so precise that someone like me who had never heard of maftoul was able to make it easily. What an outstanding tutorial and your photos are just wonderful…each tiny grain shows up so perfectly. wow. I am definitely going to give it a try. I didn’t realise you could make this. Can I use wire while wheat flour instead of whole wheat? Or instead of the whole wheat and white flour all together? Lol thank you! I’m gonna try using it! Thank you so much I looked everywhere trying do this my mother in law showed me years ago and I forgot.this is how she did it but bigger measurements:).your amazing thank you again..
My mother in law made her own Maftoul, added a tomato sauce, squash, potatoes and beef/ lamb.. do not know the name of that dish, but it was so good… Cannot wait to try this… Thank you for the recipe.